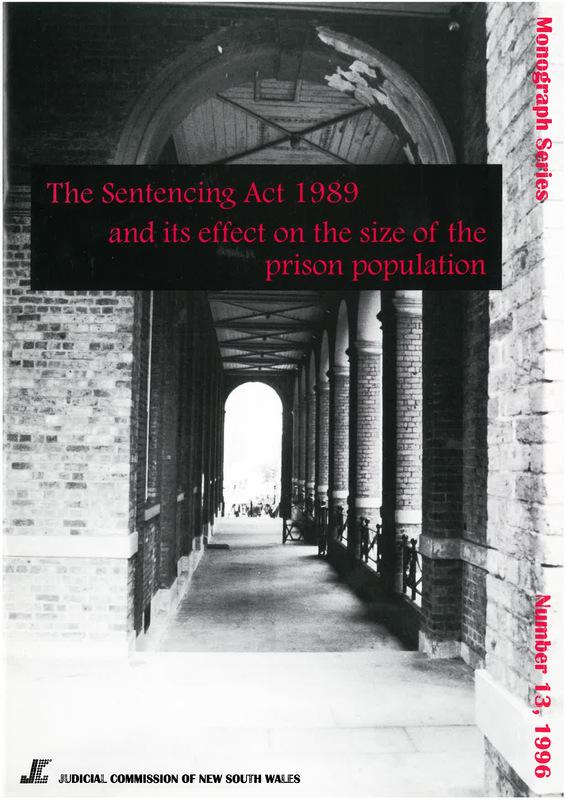 The Sentencing Act 1989 (the “Act”) was a landmark piece of legislation in the area of sentencing. It has been widely assumed, although it is empirically difficult to prove, that the Act has had a significant effect on the size of the prison population. the net effect of these changes since 1990 has been to increase the average “real time” that prisoners spend in gaol. There are a number of factors which led to an increase in the average “real time” each prisoner spends in full time custody. In New South Wales, the most commonly cited factor for recent rises in the size of the prison population is, the abolition of remissions in 1989, without any corresponding reduction in the maximum penalties available for each offence. Another aspect of the Act, the fixing of terms of less than six months, may also have caused an increase in the average “real time” spent in gaol. The effect of the Sentencing Act 1989 on the prison population can be considered as one aspect of a general pattern of policies which aimed to increase the time spent by “serious” offenders in gaol. Although the abolition of remissions was probably one of the factors responsible for the increase in the average “real time” spent by prisoners in custody, it is certainly not the only factor behind the recent increases in the prison population.